If you’re not a freight shipping pro, freight classes can get confusing. There is an array of different ones to choose from, and picking the wrong one can cost you both precious time and money. So why do we use freight classes? Freight classes are designed to help set a common and standardized freight price for shipments. This is handy when you have to work with a number of freight companies, different carriers, warehouses, and brokers, and ensures you know you’re getting a fair price. The National Motor Freight Traffic Association (NMFTA) defines the classes, and is made available through the National Motor Freight Classification (NMFC). • Liability: Which includes the freight price per pound, susceptibility to theft, liability to damage, breakability, and perishability. Using these four characteristics, the NMFTA has defined 18 different classes, ranging from a low class of 50 to a high class of 500. Typically, the lower the class, the lower the charge is for shipment. If you’re questioning what class your shipment may be, reference the chart above for some quick help. If you’re still not sure, Freight Rate Central is always willing to assist and answer any questions. 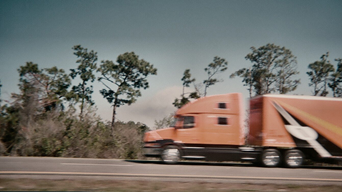 Though Freight Rate Central has offices in Florida and Idaho, we service all across the United States. We aim to provide the most efficient and economical shipping for all of our clients, and work with thousands of freight carriers to ensure you get only the best freight rates no matter your shipping needs. We take care of the details both big and small, so you can rest easy with your shipments in our hands. Contact us today at 855-FRC-SHIP (855-372-7447) to learn more about our freight services, or visit us online to request a free quote.